Cescy and Geri. awwww too cute...doesnt Geri look a LOT A LOT younger in this picture?. Wallpaper and background images in the Gerard and Cesc club tagged: gerard pique fabregas cesc fabregas best friends. awwww too cute...doesnt Geri look a LOT A LOT younger in this picture? 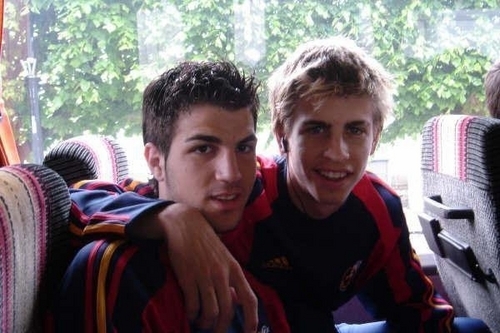 This Gerard and Cesc photo might contain سٹریٹ, شہر منظر, شہری ماحول, گلی, شہر ديکھا, شہری سیٹنگ, ڈنر, and کھانے.